There are so many deadly circus acts that I decided to list the 5 most shocking of these. From throwing knifes at a person you can’t see, to dancing with a ferocious lion. This is a list of the most deadly circus acts of all time. Knife throwing is when a person is strapped to a board, and someone attempts to throw knifes around their body. This is already inherently one of the most deadly circus acts. “The Veiled Double Wheel of Death” is when two people are strapped to a board, which is then spun as quickly as possible, and the knife thrower cannot see where the participants are, but still has to throw knifes around their body. 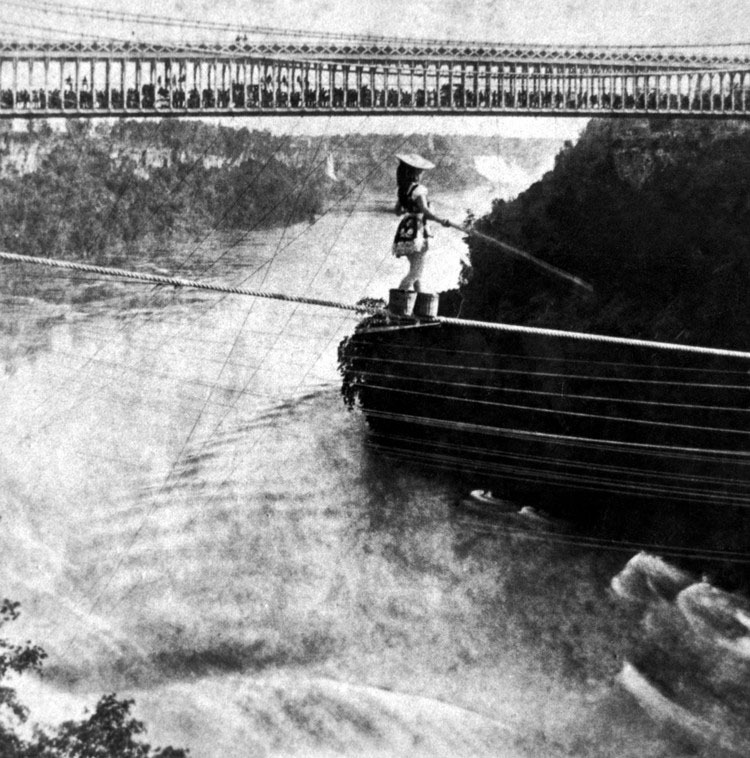 This trick is so dangerous that it has only ever been done once in history. The stunt was done by famous knife thrower “Throwdini” who has to throw each knife at 0.59s to make sure he doesn’t kill his assistants. The human cannonball is an extremely dangerous act where a human is shot out of a cannon and onto a far away net. The calculations for this act need to be exactly right to make sure he lands on the net. But even if you get the calculations right, simply landing on the net may not be enough. You also have to make sure that the net is able to take the impact. 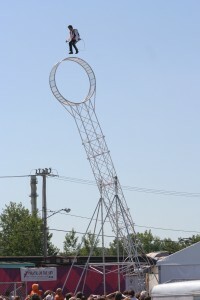 In April 2011 a man died doing the human cannonball act when the net, that was supposed to break his fall, collapsed, and he died on the way to the hospital. The double human cannonball is the same act with two people, and twice as much danger involved, yet people are still willing to do the act knowing the dangers. 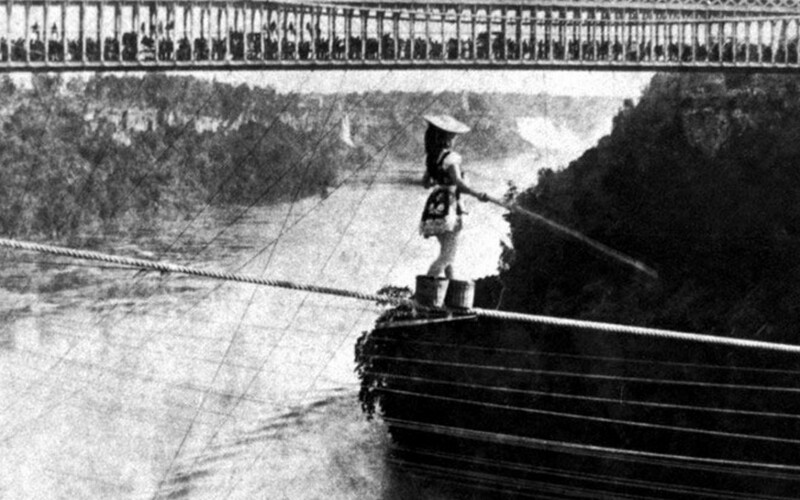 No list of deadly circus acts would be complete without tight rope walking, The tight rope walk is one of the most dangerous acts out there. People are no loner satisfied simply walking across the rope, now people have to try and get across in the most ridiculous ways possible. One way involves cycling across on a bicycle, while holding a large metal beam, and having a fat man stand on your shoulders, another one involves a monkey riding on the back of a goat, walking across a tight rope. Recently a man walked 5,200 ft down a mountain, over a 10,000 ft drop. There were no safety precautions, one mistake and he would have died for sure. The wheel of death is highly popular in circus’s today, because of it’s glaring danger. The act is done without any safety harnesses or nets, no safety precautions seem to be taken at all. It therefore isn’t surprising that so many people have been injured doing this stunt, with some even dying. The wheel of death was invented around the 1930’s with only one wheel and one acrobat, since then it has evolved to have fours wheels, and four acrobats. The acrobats run inside and outside the wheel, as well as jump, and skip on top of it. The acrobats always seem to stumble every now and then and almost fall off a lot while doing the act. 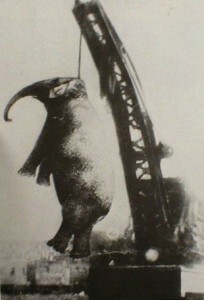 This is one of the few deadly circus acts that can still be commonly seen today. lions and elephants were taught to dance and play with their owners. The first ever lion tamer was Henri Martin in 1819. He spent almost 5 minutes in the ring with a ferocious lion, after weeks of attempting to gain his trust. He would carefully put each body part through the bars of the cage until it was comfortable with him. A one armed Lion tamer called Massarti was doing a show in Bolton when all of a sudden a Lion named Tyrant, attacked Massarti. The other Lions quickly joined in and he was torn to pieces in front of a large crowd. Lion tamers used religion to defend their actions by citing Genesis, which supposedly gives man dominion over the animals. Elephant handling is no safer, there was a famous incident where an elephant was hanged for murdering it’s tamer. Mary the elephant was doing a show when she was stabbed by her tamer in the wrong spot, and she reacted by hitting him to the ground and stomping on his head. Even though Mary had been tortured for years, the townspeople had no sympathy for her, and demanded she be hanged, which she was. I don’t call them deadly circus acts for no reason.